Tulsi Ghat is the nearest ghat (steps that lead down to the river) to the music academy where I was staying and studying. Tulsi is the name for the Holy Basil plant, which they sometimes have growing at a temple, in a special raised planter with a cage covering the tulsi plant. There was a pretty scrawny one growing at this temple. I enjoyed this ghat most for the cool shade provided by the large ficus tree. 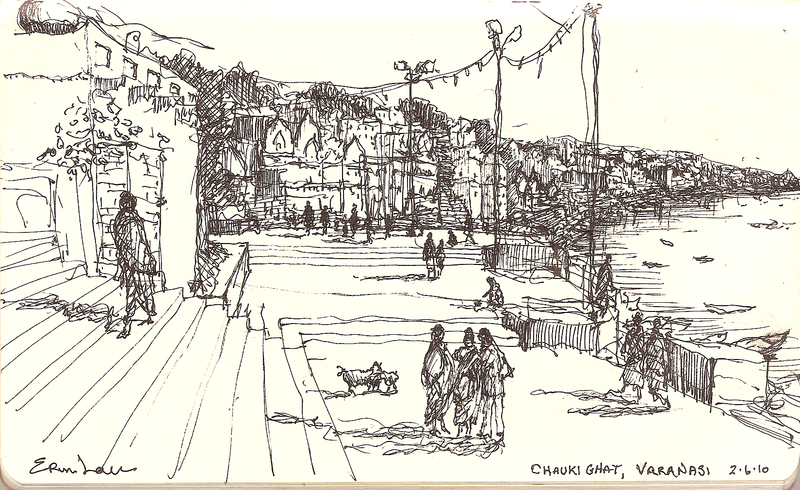 I arrived in Varanasi (aka Benares or Kashi) in February, after one month of traveling in Rajasthan and Uttarkhand. 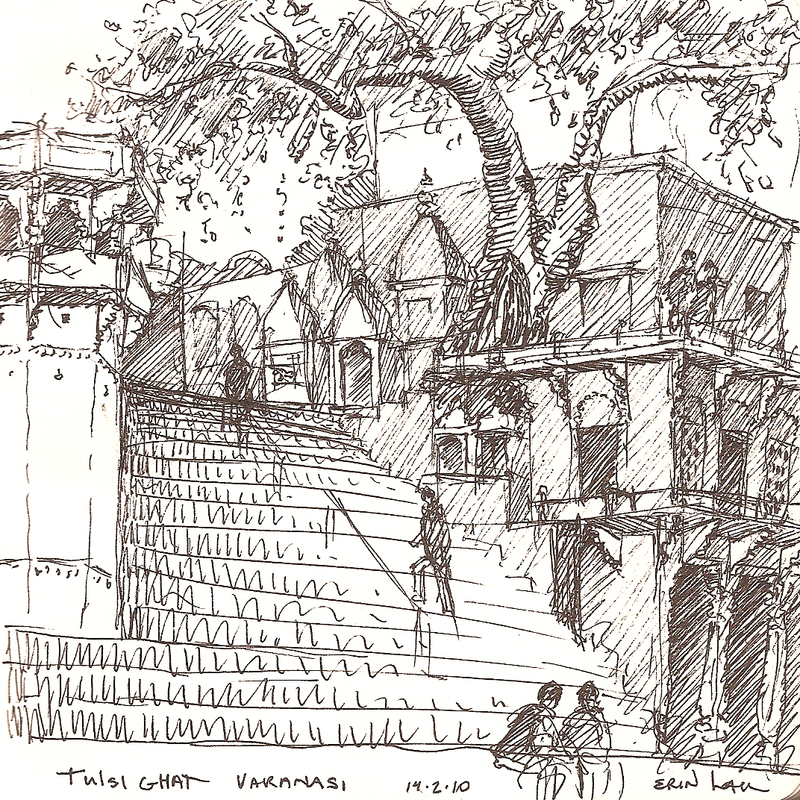 Unfortunately I’m skipping ahead over my time in Uttarkhand because I failed to make any drawings while I was there. But I had stayed at an amazing school and ashram in the mountains surrounded by happy, tiny children, and briefly passed through Rishikesh and Haridwar on my way to Varanasi. 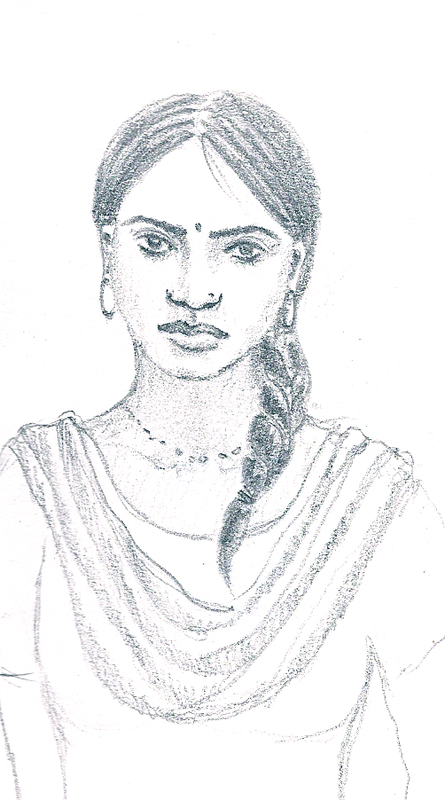 I drew this particular sketch just after sunrise.